Aubrey Stuart-Russell was around 14 years old when his family moved from Camooweal. They bought a property called Skendleby in Cash Road Eumundi. 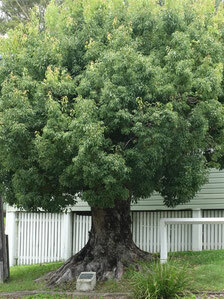 Aubrey’s grandfather was Henry Stuart-Russell an explorer of the Wide Bay area who wrote the Genesis of Queensland. 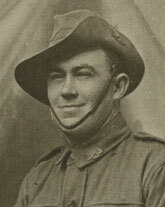 When Aubrey was 23 when he boarded the HMAT A36 Boonah on 21 October 1916. Aubrey and his father, and his father’s brother enlisted in 1916 and all fought together. The two brothers were wounded four days apart and returned home. He wrote long loving letters home and his parents saved every letter that he ever wrote from the war. He always addressed to his dear Mother, ‘my dearest loving Mother' and always finished with 'I am your loving son' and he wrote to his sisters the same way. Aubrey became ill pretty much immediately with the flu and was hospitalised and about six months later got the mumps and was again hospitalised. He was also badly gassed, probably mustard gas and took him some time to recover from it. Returned to the front line he died from a gunshot wound to his back on 4 July 1918 while fighting near Hamel France.